Mopar off-road lights can make a huge difference in the way you see things in low-light or no-light conditions. 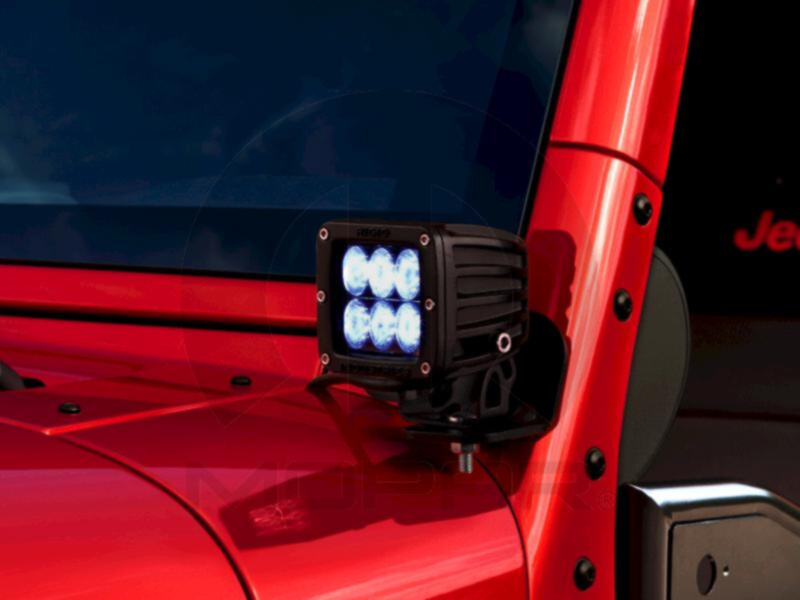 These off-road LED lights are designed to fit a light bar, an A-pillar or a roof basket on your Jeep. We carry flood patterns and spot patterns with four or six LEDs, making it easy to customize your Jeep Wrangler's off-road lights. 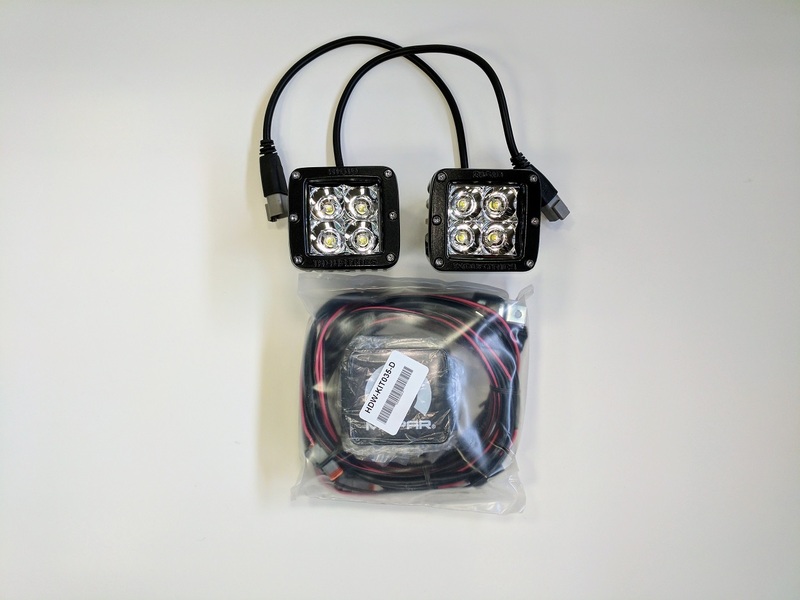 Each kit includes two lights, Mopar light covers, mounting hardware and a compatible wire harness; you can order a windshield bracket mount separately if you planning to install your lights on the lower part of your windshield. Just click on the Accessories tab above to if you wish to order the windshield mounting brackets. Please select Light Style above. These are Rigid Industries lights. Best LED lights on the market and a must have for anyone looking to brighten up their rig. Worth every penny!